Dress up for Halloween and creepy events with the ghost groom costume. Undead ghosts are actually in every old building and frighten the new castle owners just as much as Halloween party guests who wanted to use the ballroom of the old estate as a party location as intruders. 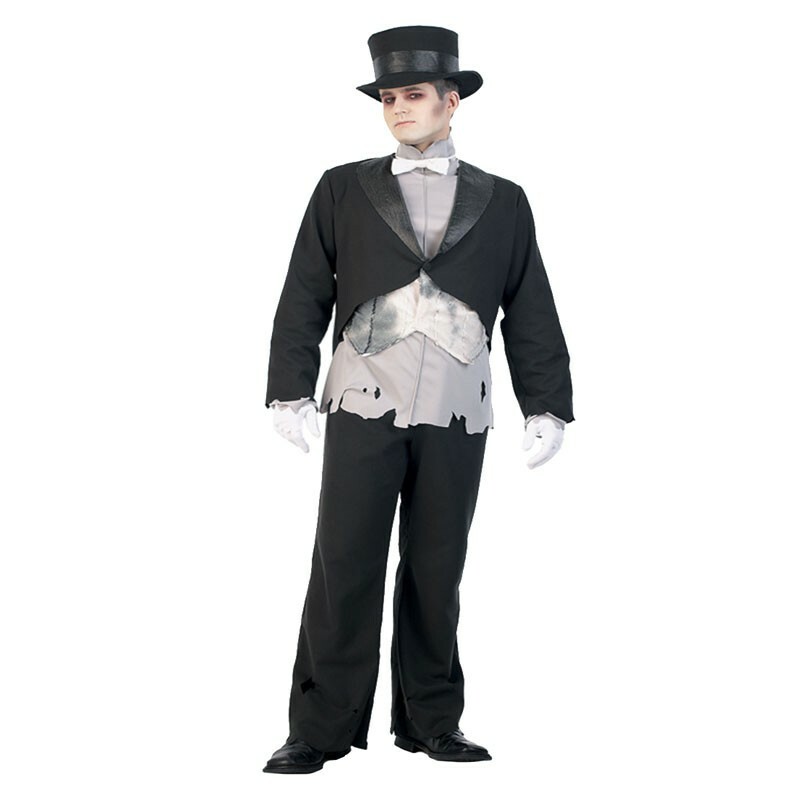 The ghost groom costume consists of a black trousers, a tattered grey shirt with silver vest, a black jacket as well as a white bow tie & a black top hat. White Gloves Complete your graveyard groom costume with ours and spend a great Halloween with your ghost bride. The article is a costume for adults and not a toy. Not suitable for children under 3 years. May contain small parts that may be swallowed - risk of suffocation. Keep away from fire and open flames.